Chapter 1 provided an overview of the need to provide a more pedestrian-friendly environment along and near streets and highways. This chapter provides an overview of the pedestrian safety problem and related factors that must be understood to select appropriate countermeasures and strategies to improve pedestrian safety and mobility. A brief description of the pedestrian crash problem in the U.S. is discussed in the following sections. Similar statistics should be produced for states and municipalities to better understand the specific problems at the community level and select appropriate countermeasures. In urban areas, pedestrian crashes often cluster near signalized intersections. 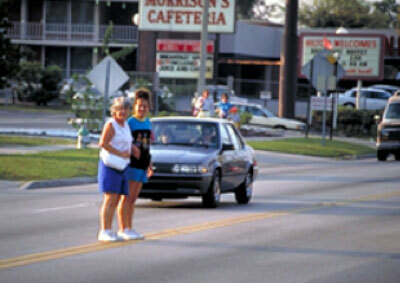 In 2011, 4,612 pedestrians were reported to have been killed in motor vehicle crashes in the U.S. This represents a four percent increase from the 4,280 pedestrians that were killed in 2010, but a 9 percent decrease from 2001.3 Pedestrian deaths in 2011 accounted for 13 percent of the 32,367 total motor vehicle-related deaths nationwide.1 In 2011, an estimated 69,000 pedestrians were injured in motor vehicle collisions, which represent approximately 3 percent of the roughly 2.2 million total persons injured in traffic crashes.1 The decrease in pedestrian fatalities from 2001 to 2011 may partly be attributable to a greater focus in recent years on providing safe pedestrian accommodations in cities across the country. The need to reduce pedestrian deaths and injuries while promoting increased walking continues to be an important goal for transportation professionals. 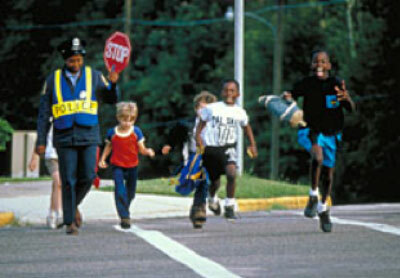 Safety of children in school zones must be given proper attention and appropriate safety measures. In general, males are more likely to be involved in a crash than females; in 2011, 70.6 percent of pedestrian fatalities were male, and the male pedestrian injury rate was 4 injuries per 100,000 population higher than for females.1 Crash injury rates by population are highest for males between the ages of 16-20 and for females between the ages of 16-20. Males aged 5 to 9 and males and females aged 10 to 15 are also particularly at risk, as they are more reliant on walking as their primary mode of transportation, though this may not be reflected in the data. This problem may be compounded by the speed of vehicles in areas where children are walking and playing. 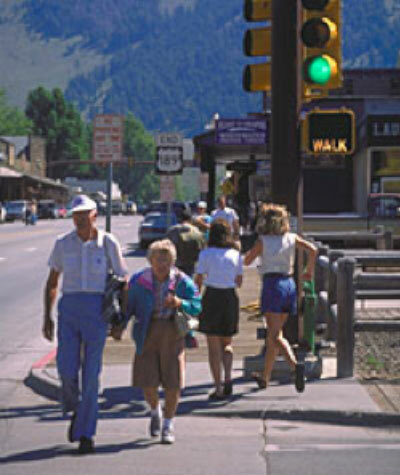 In general, injury rates for older persons (age 65 and over) are lower than for most age groups, with the exception of children under the age of 5, which may reflect greater caution by older pedestrians (e.g., less walking at night, fewer dart-outs), a reduced amount of walking near traffic and a lack of mobility for some older adults. However, older adult pedestrians are much more vulnerable to serious injury or death when struck by a motor vehicle than younger pedestrians. Older pedestrians make up 13 percent of pedestrian fatalities.1 Per 100,000 in population, both male and female pedestrians aged 75 and older have the highest fatality rate at 3.43 for male pedestrians and 2.31 for female pedestrians. Compared to the rates of less than 0.65 per 100,000 for both male and female children aged 15 and younger, it is clear that older pedestrians are much more vulnerable.1 Furthermore, with many older adults unable or unwilling to drive, elder pedestrians often choose walking as the best mobility option. The aging population in the U.S. may also be a factor in deaths involving older pedestrians. 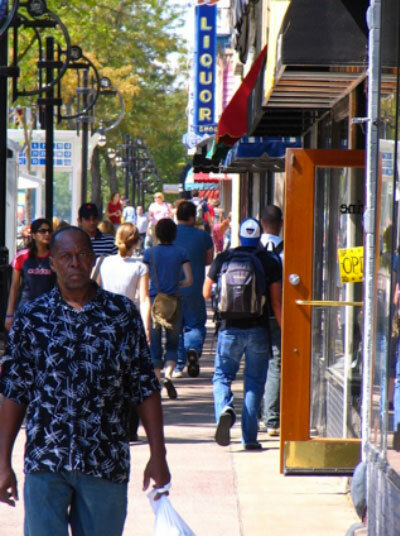 Minority populations are more likely to be involved in a pedestrian crash. Wide multilane roadways without median crossing islands pose significant risks to crossing pedestrians. Pedestrian crashes occur most frequently in urban areas where pedestrian activity and traffic volumes are greater compared to rural areas. The 2008 NHTSA National Pedestrian Crash Report indicated that 67 percent of pedestrian fatalities relating to pedestrian-motor vehicle crashes occurred in urban areas as opposed to rural areas, using data from 1997 to 2006.7 This data indicates that the majority of pedestrian crashes occur in urban areas. Pedestrians who choose the most direct path to cross the street may place themselves at greater risk. Across all age groups, pedestrians are considerably more likely to be killed at non-intersection locations than at intersections. Roughly 68 percent of crashes resulting in a pedestrian fatality occurred at non-intersections in 2010, and nearly 70 percent of pedestrian fatalities occurred at non-intersection locations in 2011.1, 2 In contrast, pedestrian injury crashes tend to occur more often at intersections than non-intersections, with some exceptions. For example, people aged 35-44 are more likely to be injured at intersections, while people aged under 5 have a roughly equal likelihood of being injured in a crash at an intersection or non-intersection location. 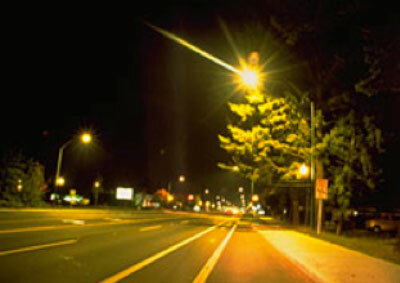 Fatal pedestrian collisions occur more often during periods of darkness. Source: U.K. Department of Transportation, Killing Speed and Saving Lives, London, 1987. Vehicle speeds are a major contributing factor in crashes of all types. 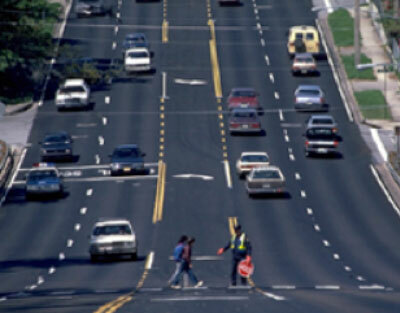 According to the National Pedestrian Crash Report from 2008, the largest percentage of pedestrian fatalities, roughly 32 percent occurred on roads with speed limits of 50 miles per hour or greater, using data from 1997 to 2005. 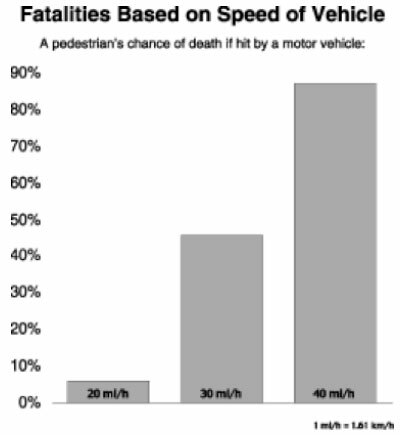 Roads with speeds of 30 to 39 and 40 to 49 accounted for 29.1 percent and 24.5 percent of all pedestrian fatalities, respectively.7 Speed has serious consequences when a pedestrian is involved. A pedestrian hit at 64.4 km/h (40 mi/h) has an 85 percent chance of being killed; at 48.3 km/h (30 mi/h), the likelihood goes down to 45 percent, while at 32.2 km/h (20 mi/h), the fatality rate is only 5 percent.10 Faster speeds increase the likelihood of a pedestrian being hit. At higher speeds, motorists are less likely to see a pedestrian, and are even less likely to be able to stop in time to avoid hitting one. Alcohol impairment continues to be a serious problem for pedestrians involved in motor vehicle collisions.